It’s been over a week since the Playstation VR came out. I picked one up on day one thanks to a very early pre-order on Amazon along with a couple of move controllers, a camera and a copy of Rigs. I’d been really looking forward to this as the Oculus and Vive were just too big a purchase alongside a gaming PC and VR is of real interest to me. The Playstation VR is the affordable way to get into VR…but how good is it? Opening the kit is the first surprise. Sony really have pulled out the stops and made it a treat to unbox. You lift open the main lid and there’s a box inside. Inside that box there are smaller boxes holding cables. Lift those off and you finally get to the headset itself. It felt like opening a Russian doll crossed with tetris. What was also slightly surprising was the amount of cables. A bit unexpected but Sony had done a good job of numbering them all to make installation pretty straightforward. The headset itself looks fantastic. It looks like something from the future in contrast to the Vive/Oculus headsets which are a bit more utilitarian. More importantly they’ve made it the most comfortable of the VR headsets to wear. The band on top of your head supports most of the weight and hence for me feels more comfortable than the other headsets. It also works better for glasses wearers like me. You press a button on the front of the headset to move the screens forward and press in a button on the back of the headset and then pull forward to extend the headband. You then place the headset on and press in the front button to bring the screens over your eyes/glasses and then use an adjustment screw to tighten the headband. It sounds harder than it is but it’s very comfortable to wear. The cables are unavoidable really as it’s an add-on to the PS4 and the bandwidth required to get data to and from the headset is more than wireless can cope with right now but there’s no getting away from the mess it makes. There is a audio out and some controls close to the headset so you can easily control volume and plug in some buds of your choice. The camera and headset tracking leaves a little to be desired. The camera and move controllers are 6 year old tech and it definitely shows in comparison with the Vive. I found during use that the tracking would lose alignment especially during daytime so curtains closed/lights out are the way to go to try and improve reliability. The most important factor of any VR headset is screen quality and performance/framerate. The screens are pretty good given the price. Not up there with the Vive but good enough. I’ve found watching a video on the Playstation VR pretty jarring but gaming is generally OK. Coupled with the comfort of wearing the headset then most folk should be OK when gaming with the Playstation VR. Rigs – 3 vs 3 sports game in an arena where you are in a mechanised rig. Graphics are clean and detailed enough and frame rates excellent. I really enjoyed the game and reminded me of a VR version of Speedball. Thumper – This is a fast paced rhythm game with great graphics and looks stunning in VR. Probably my favourite game of the launch titles. Rez Infinite – A great looking and sounding game, if you liked Rez from 10-15 years ago you’ll love this in VR. Driveclub – I loved Driveclub and was looking forward to playing this in VR but for me it was unplayable. Choppy and poor graphics and some real frame rate issues for me. Left me spinning! I also enjoyed Battlezone and felt the graphics were well realised and fitted the style of game but that £50 was a bit steep for the game. In fact if there was one criticism of the launch titles it that some had a demo like feel to them so the pricing was a bit steep. On my first nights play I ended up being physically sick. This was unexpected as I’d had no issues with the Oculus or Vive or with any motion sickness with games previously. Third corner on Driveclub left me feeling terrible so I instantly switched off, grabbed a sugary drink and waited for the feeling to wear off. It didn’t and 15 minutes later I waved goodbye to my dinner. I do suffer from migraines from time to time and do have some other health issues at the moment so wasn’t too put off. The next day went a lot better, probably because I stayed away from Driveclub, but after just an hour I was left with a sore head and pain in my eye similar to a migraine kicking in. I tried one more session the following day with similar results. Clearly the Playstation VR didn’t work with me. I had checked the calibration, ensured it was setup properly but there’s just something about either the headset or me that was causing issues. 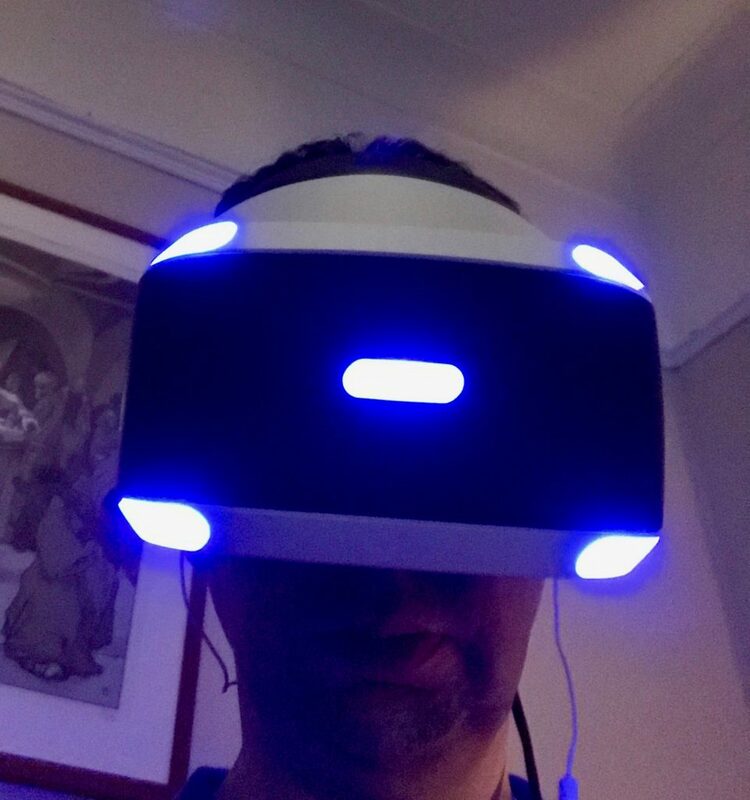 After three attempts and having similar results each time without much sign of improvement I decided to return the Playstation VR to Amazon for a refund. I wasn’t prepared to train my brain or persevere to get to a point where it worked and in the meantime be repeatedly sick. 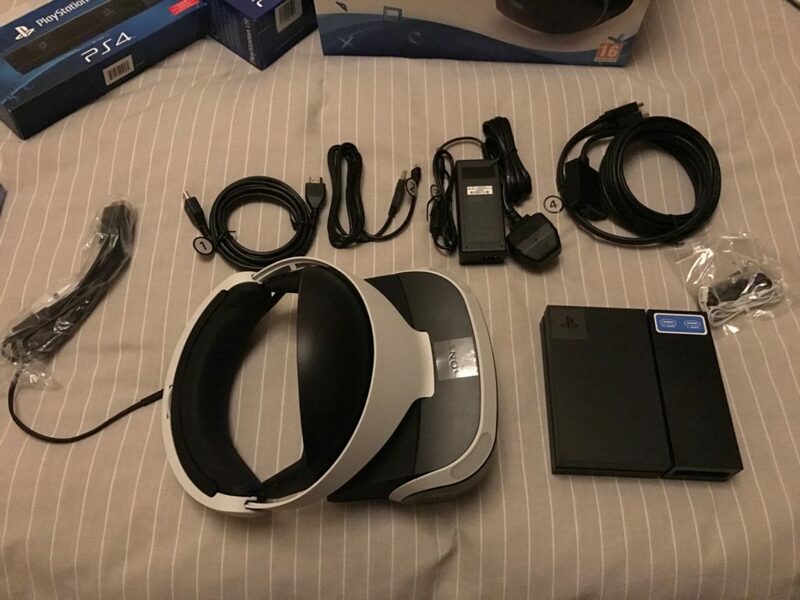 The Playstation VR is a great VR platform. Not as good as the Vive, comfier than the Oculus but importantly has a great launch lineup with the hardware available at an affordable price. Despite it not being for me I wouldn’t hesitate in recommending it to other PS4 owners.